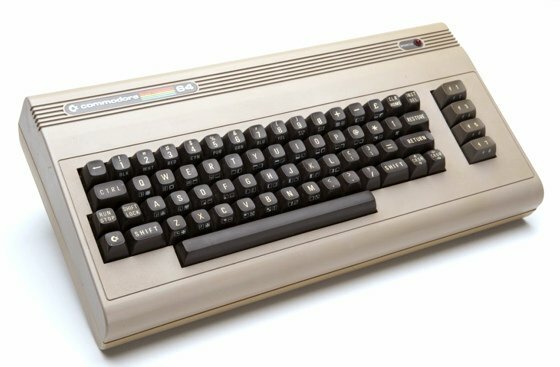 Archaeologic Commodore took the wraps off the Commodore 64, one of two immediate follow-ups to its popular Vic-20 home computer, 30 years ago this week. The 64 made its public debut at the Consumer Electronics Show (CES), though it wouldn't go into production until later in the year before going on sale in the US market in August. It didn't make it across the Atlantic until late Autumn. Back then, I was a young lad eagerly awaiting the 64 my folks had ordered as a Christmas prezzie from a local reseller. But supply was so constrained, we were told we might not get the machine until the new year. Unwilling to wait until 1983, I chose a Dragon 32 instead. Had I hung on, I'd have received a machine that, like the Dragon, had a full-sized keyboard and was also somewhat cheaper than a BBC Micro. But, unlike either the Beeb or the Dragon, the 64 couldn't use a standard domestic cassette player for storage - you had to buy Commodore's own tape deck, with a proprietary connector, adding to the cost. However, with its squat design taken from the 1981-launched Vic-20, its keys bedecked with graphics symbols - even playing card suits - as well as alphanumeric characters, and its right-hand row of four function keys, the 64 arguably looked much more how a computer should look than many of its rivals. Inside, Commodore had packed a 6510 processor, an updated version of MOS Technology's popular 6502, the chip used in the Vic-20, the BBC Micro and many others. In the UK, the 6510 was clocked at 985KHz, though the US version apparently ran at over 1MHz - assuming Commodore wasn't just rounding up 0.985MHz over there. As the computer's name suggested, it had 64KB of memory, though only 38KB of that was available to Basic, which was stored on a 20KB Rom chip and copied into the main memory when the 64 was booted. The remainder of the memory map was used by the system.